Move over Singapore — the world’s most expensive city has two new rivals. 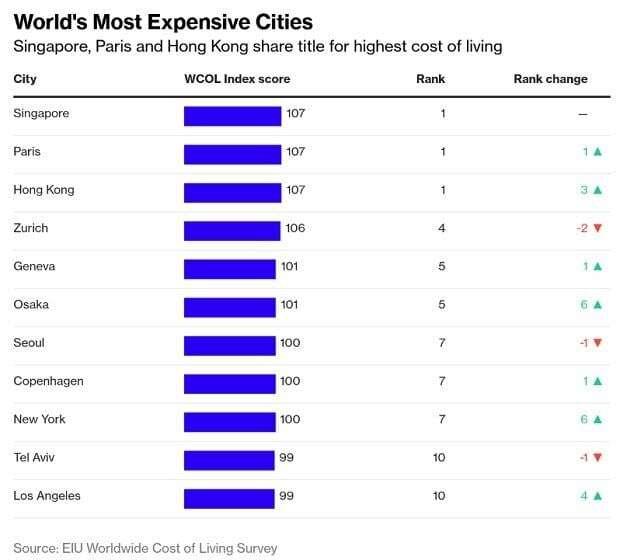 After topping the Economist Intelligence Unit’s Worldwide Cost of Living Survey for five years, Asia’s Lion City has been joined by Paris and Hong Kong in a tie at the top of the table. One of the factors behind Asia’s strong showing at the top of the table is that some Asian cities are among the world’s priciest locations for general grocery shopping, according to the EIU.